SA vs SL T20Is: The 35-year-old could get to the world record in the two T2-Is left. 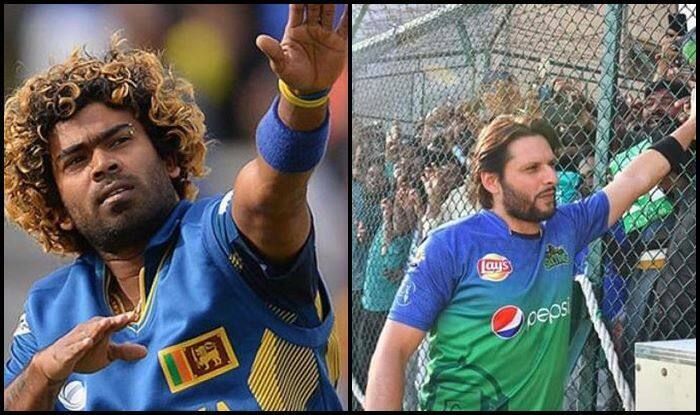 South Africa vs Sri Lanka 2019 T20Is: Lasith Malinga needed five wickets to surpass Pakistan’s Shahid Afridi to become the all-time highest wicket-taker in T20I history. He picked up a couple of wickets in the 1st T20I at Newlands and he currently needs merely three more to go past Afridi. The former Pakistan cricketer has 98 wickets from 97 games, whereas Malinga has 96 wickets from 71 matches. The touring Sri Lankan side will play two more T20Is against South Africa which means Malinga will have a good shot at the major milestone. Veteran Malinga conceded merely 11 runs from his stipulated four overs in the 1st T20I. The 35-year-old Malinga is in the fag end of his career and he would be hoping to push his body and remain in good shape for the upcoming World Cup in England. His presence in the squad will help motivate the youngsters. Malinga is known as one of the best death over bowlers in the world as he has a lethal yorker up his sleeve and can come up with one at any point of time in the innings. Meanwhile, Sri Lanka lost the 1st T20I in a Super Over face-off after both the teams were locked at 134. South Africa won the Super Over and take 1-0 lead in the series. “T20 is a very interesting game. That’s why people like that. We tried our best but couldn’t get what we need. 130 is not enough in a T20 game but we knew the surface was going to be slow and hence introduced the spinners early. I am used to those tight situations and conditions, though I am getting old, I like these challenges. I tried my variations in the Super Over but it did not come through and credit to Miller. In a T20 game the result is not known till the last ball and that’s why we fight for every single ball,” said Malinga at the post-match party.